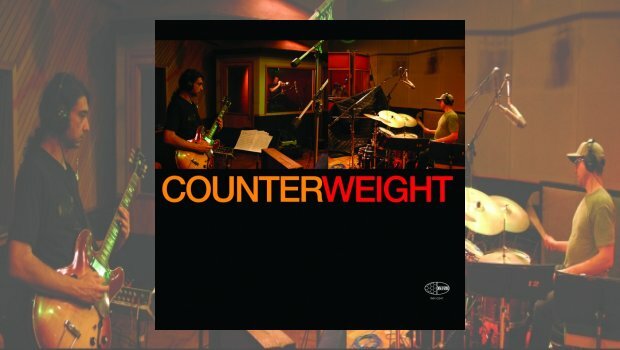 Counterweight is a new project from producer Gregory Howe’s San Francisco-based label/studio/performance space Wide Hive Records which has been releasing forward-looking jazz music since the late 1990s. The core of Counterweight is the rhythm section of bassist/composer Matt Montgomery and drummer Mike Hughes, who are also featured on the Throttle Elevator Music releases. The selections on Counterweight give them the opportunity to explore a variety of styles, most of which harken back to the golden era of the 1960s for inspiration. The featured soloist on Counterweight is trumpeter Erik Jekabson who plays beautifully throughout and whose instrumental voice ties these disparate pieces together as a unified whole. Also making their presence felt are Bay Area heavyweights Kasey Knudsen on saxophone and Mike Ramos on guitar. The extremely catchy modal piece Hum starts the proceedings on a bright note, the underlying groove reminiscent of the Love Supreme changes. Jekabson’s warm, round tone on trumpet brings to mind Freddie Hubbard on this piece and he’s perfectly matched with saxophonist Knudsen who himself seems to be channelling Hubbard’s frequent collaborator Joe Henderson. The relatively brief running time of 5 minutes sets the template for the remainder of the album, the focus being more on composition than stretching out. The same frontline is featured again on the tricky Time Is A Sphere and muscular album-closer Extremis. Moving into jazz-rock territory we have a few album highlights that give the rhythm section more time in the spotlight. The slinky, grimy groove of Ellipsis is a joy and had me thinking of Donald Byrd’s classic Slow Drag. The harder edge of this piece inspires more extroverted solos from the horns with Knudsen’s tenor solo a particular standout. Also of note is the fine guitar playing of Mike Ramos who captures attention despite not having a solo spot. Other tracks that slot in the same ballpark are the slow-jam R&B groove of Ergot and the hilariously titled Droni Mitchell which finally gives Ramos a chance to solo over a moody pedal-point groove. The remaining tracks venture into the general vicinity of Sketches of Spain, lush Latin-tinged features for Jekabson to soar above, this is most evident on the melancholy Montecito Sunset which features his most beautiful soloing on the album. Ramos switches to acoustic guitar on these pieces and the Brazilian-flavoured Aparcida offers him his most impactful chance to shine. There is much to enjoy on Counterweight, the playing is top notch and the production stellar, but there are some nagging shortcomings in my view. The primary issue is the aforementioned focus on keeping these pieces brief, which I believe robs many of them of their potential. Too often it seems to me that just about the time things really kick into gear, they come to an abrupt conclusion. As I can’t imagine radio-airplay is a consideration I’m left perplexed by this decision. This also short-changes solo opportunities for everyone but the frontline horns and when you have a rhythm section of this calibre you really should give them some space to strut their stuff. As it stands it’s an enjoyable 50 minutes of well-played mainstream jazz, but to me it’s more like a tasty appetizer than a full meal.